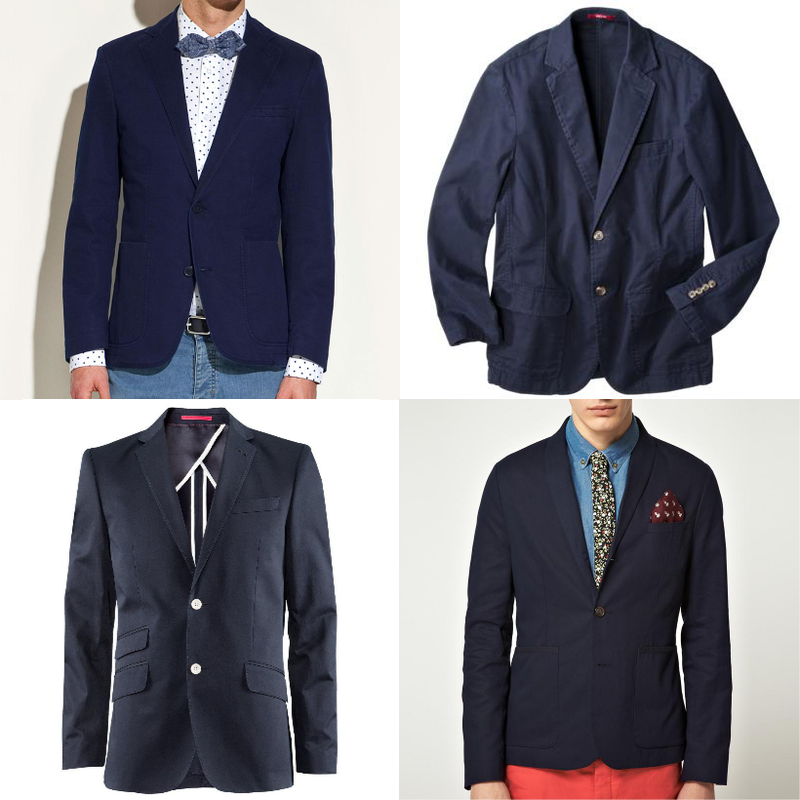 A good lightweight navy blazer is a warm weather staple no man’s closet should be without. Being that my own spring sportcoat was under $100, I figured you gents might appreciate equally economical options. 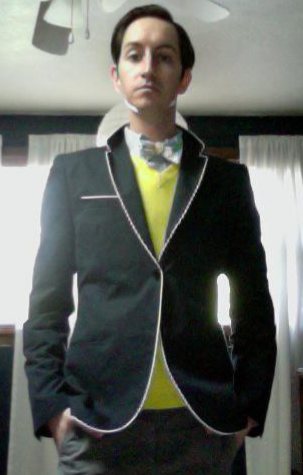 And yes, the ASOS blazer is technically over budget, but skipping 2 lattes from Starbucks should cover the difference. 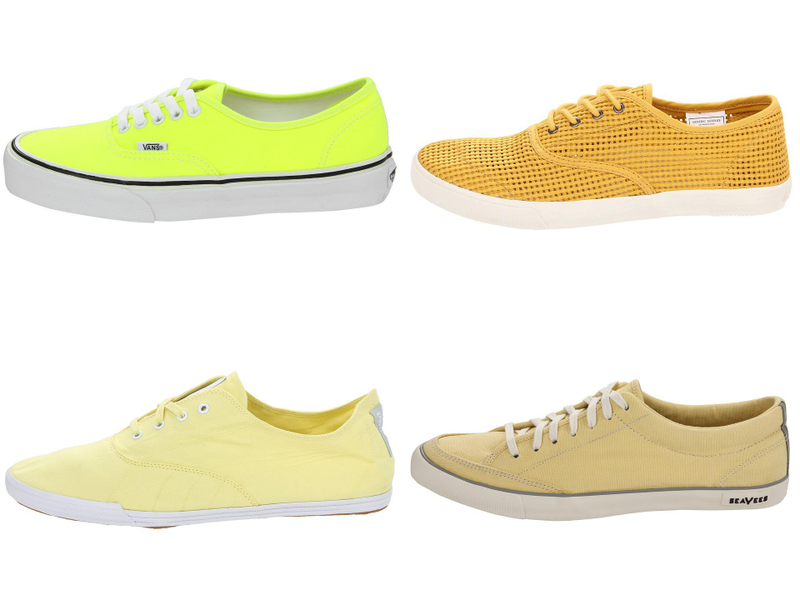 All are 100% cotton and 100% cool. There’s an epidemic sweeping this nation: awful laptop bags. You know the ones I’m talking about; cheap canvas, usually black or blue, a random company logo, and more mesh than a Right Said Fred comeback tour. No, thank you. 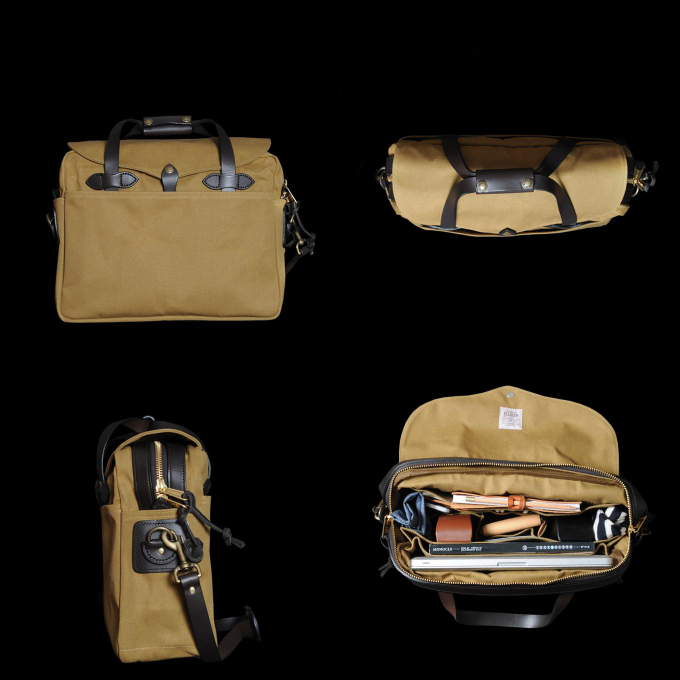 Might I instead suggest this bag from Filson. Constructed from durable twill and made in the USA, it’s stylish yet rugged enough to endure everything you’ll no doubt cram into it. From home to work to coffee shop, lug your laptop the right way. It’s a bow…that’s tied…on Friday. I happen to like my clever interpretation of Bow Tie Friday. 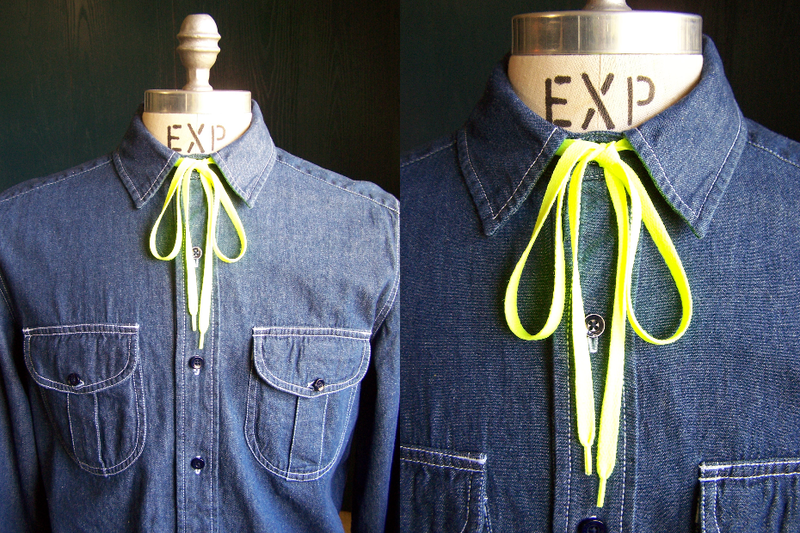 The neon shoelace really pops against my dark denim shirt (Levi’s). 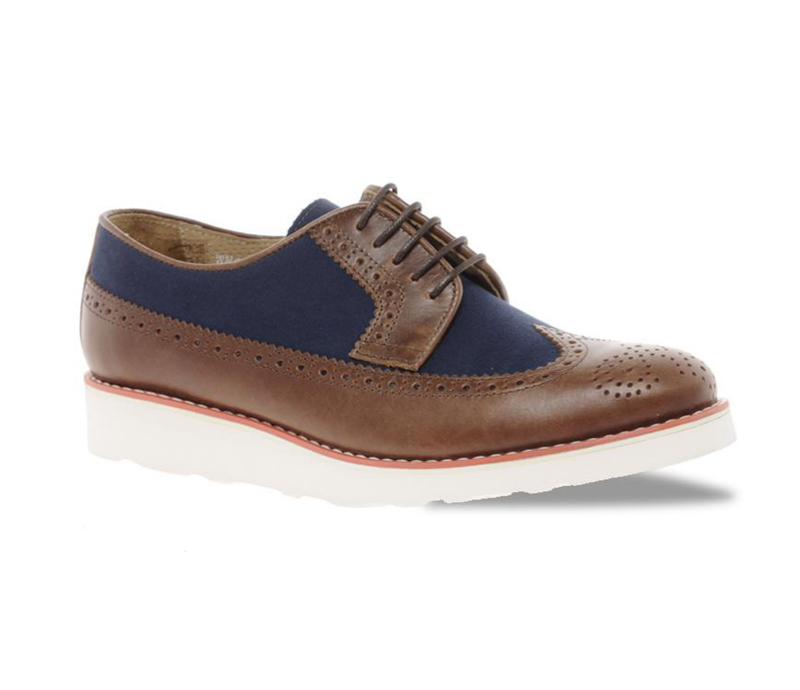 Consider this my teddy boy twist. Can I at least get credit for creativity? While I’d love to endorse $148 GANT hippo swim trunks (because I love them), a lot of guys don’t have the gumption or cash to swing them. 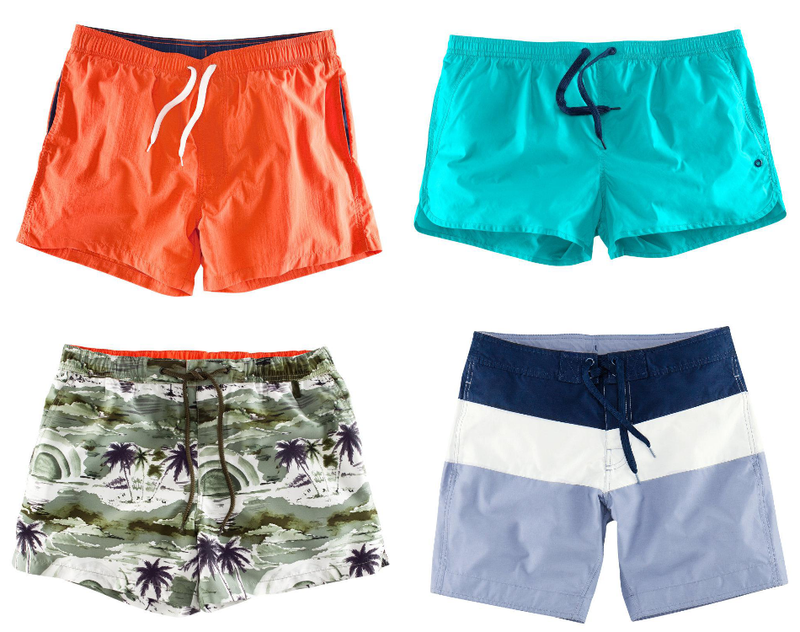 Thus for cheap, appropriately cool swimwear, H&M is a good bet. My only concern with H&M’s selection isn’t the price, it’s the length. But as inseams continue to shorten, it would seem that me and my chicken legs will be doing squats for the next two months. What say you, gentleman? How short is too short? I think most people (at least the normal ones) can agree that the fashion industry has a tendency of taking itself a little too seriously. Sometimes we just need to step back and poke fun at ourselves. Enter Tosh.0. This season comedian Daniel Tosh has been satirically sporting high fashion looks that have often been as ridiculous as they are expensive. To honor tonight’s final episode of #highfashion, I’ve put together a little ensemble of my own from Comme des Garçons, a designer I inexplicably love. You may think it’s kooky and even a bit tacky. But at the end of the day, they’re just clothes, guys. Circle pattern sport jacket $1,510; Dotted leopard shirt $525; Circle pattern bermuda short $540; Jack Purcell low top $125. All from Barneys. Just because I’d have to dig for change in every couch in the Ohio Valley to afford certain items doesn’t mean they don’t deserve a mention. And isn’t that the fantasy of fashion; dreaming about things that you’ll probably only see in magazines and incredibly creative and clever menswear blogs based in Columbus, Ohio?